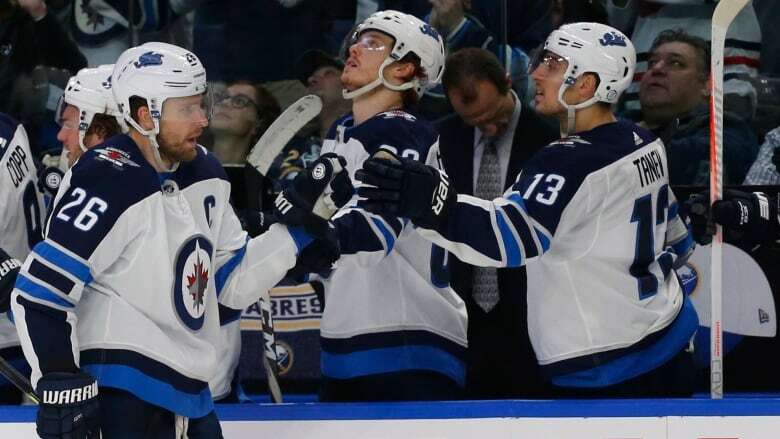 Goalie Connor Hellebuyck initially took exception to the suggestion of the Jets being in a slump before being reminded their 0-2-1 skid had been Winnipeg's longest of the season. "Yeah, that's a good point," Hellebuyck said. "I don't know if I'd use that term [slump]. Let's keep the fans happy and excited about this one, and excited about where we're going." "It was the first time all year we've had to deal with that adversity," said Wheeler. Defenceman Josh Morrissey set up the decisive goal by driving up the boards from the left point and slipping a pass through the middle and under Sabres defenceman Rasmus Dahlin. Wheeler was left alone at the right post, where he deposited the pass into the open side.